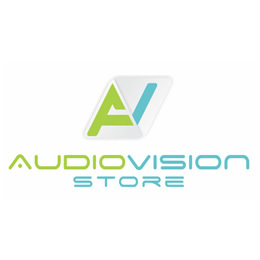 AudioVision Catalog ECHIPAMENTE AUDIO Adresare Publica PA Boxe si Plafoniere Megafon / Portavoce CHA660 - 2-Way horn loudspeaker 6.5"
CHA660 - 2-Way horn loudspeaker 6.5"
The CHA660 is a 2-way horn loaded loudspeaker which is designed for long-throw, full range reproduction of music and speech in a wide variety of indoor and outdoor applications. The construction is composed of a 1" high frequency compression driver and a 6.5" mid/low frequency driver. The selection of high-quality components and acoustic engineering craftmanship makes the CHA660 significantly better performing than other traditional horn speakers. A smooth frequency response and high efficiency ensures an extraordinary clarity of speech and extended frequency response for music. It features an RMS power handling of 60 Watt and a max power handling of 120 Watt. The sensitivity measures 99 dB while a maximum continuous SPL of 116 dB can be achieved. The frequency response (±3 dB) starts from 100 Hz up to 16 kHz. A multi-tapping line transformer allows connection of the speaker in 100 Volt and 70 Volt public address systems. Various power tappings for 60 Watt, 30 Watt, 15 Watt and 7.5 Watt are available. The enclosure is constructed using high quality UV and impact resistant ABS materials and an included stainless steel mounting bracket allows secure mounting and tilting for perfect directional placement. This makes it comply with IP66 ingress protection requirements, resulting in a weatherproof solution for permanent outdoor installation. Connection of the loudspeaker is done using a screw terminal block connector located in a waterproof connection box on the rear of the speaker. 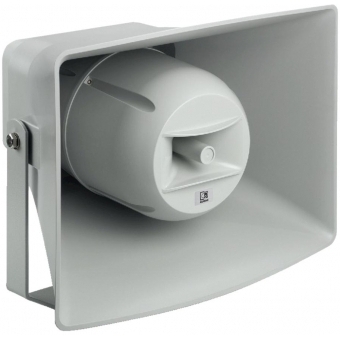 CHA530 - 2-Way horn loudspeaker 5"
Monacor GLS-301/GR, weatherproof PA garden speaker "Rock"
HS208MK2 - Full range horn speaker 8"